While you might find yourself replacing your smartphone often, a television set tends to last for a good while. It is therefore important to consider carefully your TV choices before buying one. Making the right decision means enjoying the television you bought and getting the best value for your money. New TV models have been unveiled by top brands this 2018. Some previous-year models are also standing the test of time. This means that if you find yourself in the market for a new TV, then you will have plenty to choose from. Below is a guide to help you make the right TV buying decision! The size of the screen is the first factor you must look into when buying a new TV. This factor will come into play regardless if you want a basic or high-performance television. When choosing the right screen size, you have to factor in the size of your family or the number of viewers in the household. In addition, you must also think about the practical considerations, such as where you intend to set up the television set. The proximity of the sitting area (such as your sofa) to the TV is also important. While you feel that a larger screen size would be ideal for your large family, think about how your living room is configured, too. Sitting too close to the TV screen is not recommended. The ideal distance is three times the height of the HD screen (or 1.5 times for 4k HDTVs). If you cannot decide, you can settle for a 55- to 65-inch screen TV. This is the so-called “sweet spot” that often satisfies most TV buyer’s requirements. A TV within that screen-size range fits perfectly into a standard living room space and is also reasonably priced for its performance. Screen resolution refers to the sharpness of the picture quality on your TV. It is often used to describe the horizontal lines of pixels present on the screen. Most of the newer TV models support at least 1080p HD format, which is also known as full HD TV. It might be rare to find them but there are, however, some HDTVs that can support only up to 720p resolution. If you want to future-proof your TV, then it is best to move on to the next best thing – Ultra HD sets. They are also known as 4K TVs, which can provide four times higher picture quality than current HDTVs. One of the reasons why you must choose 4K TVs is that even small objects appear more detailed on-screen. The overall quality of images appears richer and clearer. Due to the growing attention on 4K TVs, there are more 4K content available now than ever. You should be able to watch or stream a wide range of material that can maximize 4K resolution TVs. The refresh rate is indicated by the Hertz (Hz) on your new TV. This refers to the speed at which a picture is refreshed on the screen. When you buy a new TV, you should look for a higher refresh rate for better performance. Most TVs have a standard refresh rate of 60 Hertz or 60 times per second. But when you are watching movies or films with a fast-moving action scene, this can sometimes lead to the pictures getting blurry. Ideally, you should buy a TV with 120 Hertz for a more solid performance. Many new TVs are now equipped with 240 Hz refresh rate. 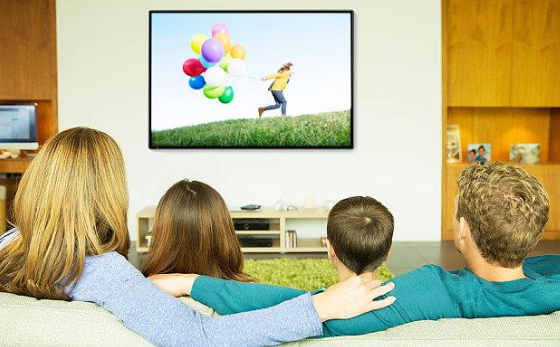 Since having a high refresh rate is predicted to be the new standard in movies and TV broadcasts, it is an important factor to consider when you buy a new TV. The bottom line here is that you should not buy a TV with less than 120 Hz refresh rate. When shopping for a new TV in 2018, “smart TV” is a term you will encounter often. What this basically means is that it comes with built-in WiFi that connects it to internet-based services. For example, you may connect your television to Netflix wherein you can stream movies and shows directly on your. You can also download movies on-demand or update your social media through your TV. The newer models feature intuitive interface, too. This makes it easier to select the apps you want to use. Simply browse apps like Netflix, Hulu, or Pandora to find the content you want. 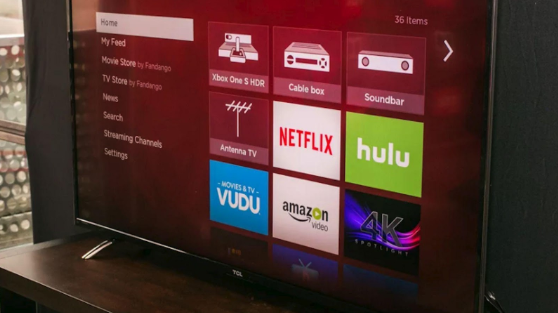 In the past, smart TVs are rare and therefore can cost you a hefty price tag. But these days, they have become the new standard. So you should not base your buying decision on this feature alone as this capability is built into most new TVs. If you want a future-proof television, do NOT buy anything that is below 4k resolution. If you want a 50- to 55-inch TV that is reliable, you should expect to pay around $500. But if you want a 65-inch model, the price range should start at around $900. Choose a television set that has a 120 Hz refresh rate or higher. OLED TVs are the new standard when it comes to aesthetic and performance today. However, they are also going to set you back more than a typical LED LCD TV. To better understand these various acronyms related to televisions, read here. Choose a television set with at least 4 HDMI ports. For those buying 4K resolution TVs, it has to have HDCP compatibility. Curved TVs do not offer anything when it comes to image quality. Invest in a smart TV so you can easily access the internet or use online viewing apps. Did this guide help you in choosing which TV to buy?